Olympia community members are invited to come learn about local sea level rise response planning, Tuesday, December 11, 2018, 6:00 p.m. – 8:00 p.m. at LOTT Clean Water Alliance (500 Adams St NE, Olympia). At 6:00 p.m., visit information stations and ask questions of project staff. At 6:15 p.m., hear presentations about the planning effort, potential adaptation strategies, and next steps. Those unable to attend the meeting can still review the Draft Plan at olympiawa.gov/slr beginning December 10, and provide written comments through January 25. Email searise@ci.olympia.wa.us to send comments on the Draft Plan or request a sea level rise presentation for your organization. Sign up at olympiawa.gov/subscribe for the sea level rise e-newsletter. Downtown Olympia has always been vulnerable to flooding. High water levels in Capitol Lake and high tides in Budd Inlet can combine to cause water to overtop the shoreline and spill into downtown streets and low-lying areas. Even with minimal amounts of sea level rise, the risk to downtown’s streets and buildings and the many community services will increase. Downtown flooding is anticipated to become more frequent and severe in the future. The Sea Level Rise Response Plan provides a broad strategy for adapting to rising sea levels in both the near and long-term. 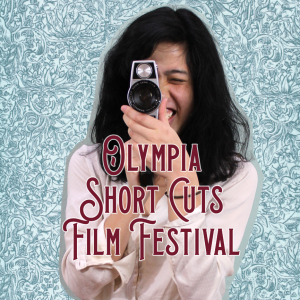 Downtown Olympia serves as the social, cultural, historical, and economic core of the city. The 450-acre downtown area contains vital infrastructure such as Olympia City Hall, the Budd Inlet Treatment Plant, the Port of Olympia marine terminal, and the emergency vehicle corridors between west and east Olympia. The Olympia Farmers Market, Heritage Park, and Percival Landing are important cultural and recreational places to many residents. Our waterfront and its link to Puget Sound are highly valued by our community and need to be protected. Taking steps to protect downtown from sea level rise can help avoid damage and service disruptions and reduce costs to our community in the long-term. 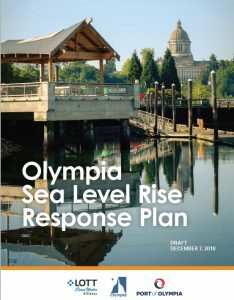 City of Olympia, LOTT Clean Water Alliance, and Port of Olympia have been working together, with help from consulting firm AECOM Technical Services Inc., since May of 2017 to create the response plan to protect downtown Olympia from the impacts of sea level rise. The Sea Level Rise Response Plan is based on the high estimate of sea level rise: 25 inches by mid-century and 68 inches by end of century. This projection takes into account that Olympia is sinking 1 to 2 millimeters per year. The more likely scenario projects sea levels rising by 13 inches by mid-century and 36 inches by the end of the century. 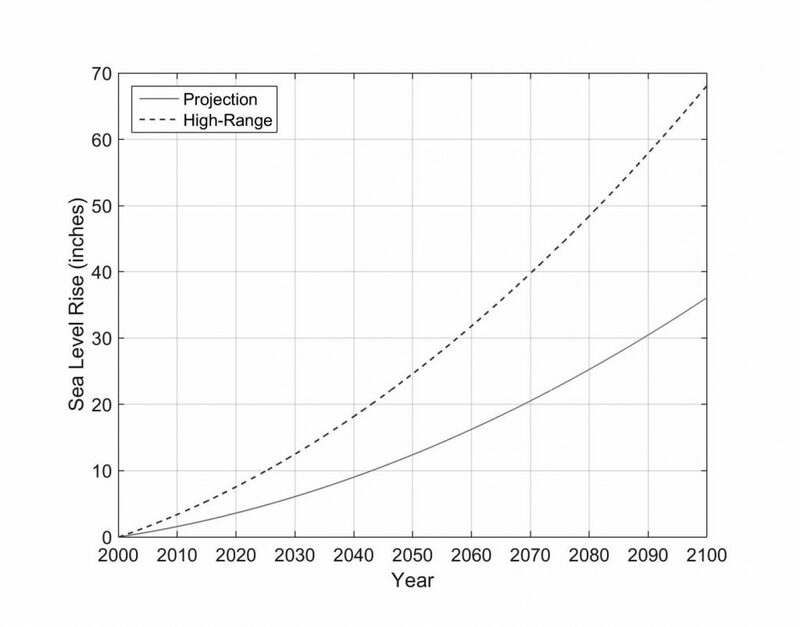 The future rate of sea level rise will depend on whether we reduce our greenhouse gas emissions and how much. Not all areas of downtown will be impacted by rising seas in the same way or at the same time. 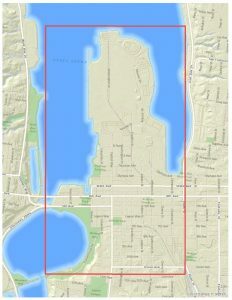 The low lying areas around Capitol Lake are already most vulnerable to flooding, followed by portions of the Budd Inlet shoreline north of Percival Landing and along the isthmus. Downtown Olympia in general is affected by high tides, high Deschutes River flows, and combinations of the two. In either event, if water levels are high enough they can flow back through the stormwater drainage system and cause flooding in areas not directly adjacent to the shoreline. Overland flooding can also increase flows to the Budd Inlet Treatment Plant, potentially stressing its capacity for treating wastewater. Portions of the Port property may also be subject to more frequent flooding as sea levels rise in the future. The Plan is divided into four focus areas: Capitol Lake / Lower Deschutes Watershed, Percival Landing and Isthmus, Budd Inlet Treatment Plant and Combined Sewer System, and Port of Olympia Peninsula. The Plan addresses landscape, flood dynamics, and flooding vulnerabilities for each focus area. Adaptation strategies have been identified to address sea level rise for each area. These strategies can be adapted over time based on changing conditions. Come to the December 11 meeting or visit City of Olympia’s Sea Level Rise Website to learn more. Our downtown landscape will continue to change in the decades ahead, such as raising of the shoreline and buildings, future development, and land use changes. Sea level rise will be one of the drivers of change, but not the only driver. The Sea Level Rise Response Plan illustrates how places like the Percival Landing boardwalk, Heritage Park, and the Billy Frank Jr. Trail could be enhanced to help provide flood protection. As a community, we can protect Olympia’s unique character, essential services, and critical infrastructure. Together we can address our rising challenge.